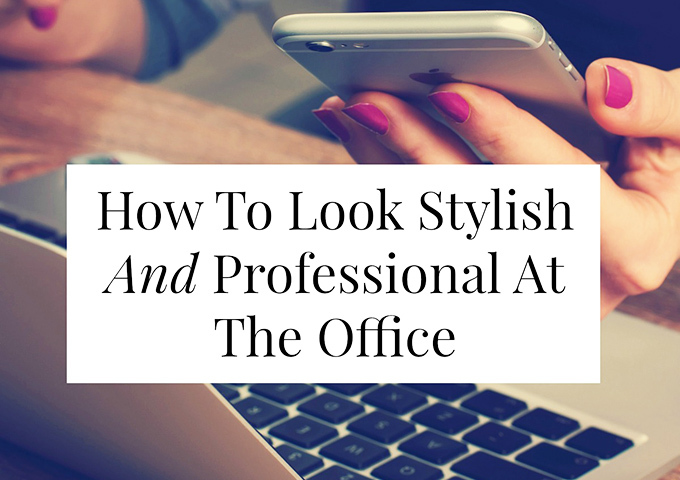 Is it possible to look stylish and professional at work? Absolutely! Just because you’re part of the corporate world doesn’t mean you’re doomed to a life of navy trouser or skirt suits and sweater sets. From 9 to 5, (well actually 7-5!) I strategise and future proof a group of berry companies. While I’m very proud of the work I do (I was one of Management Today’s 35 under 35! ), I’m almost as proud of my work wardrobe. With a bit of work, I’ve created an office wardrobe that’s fashionable, professional, and still reflects my personality. 2014 was all about Chevron prints and 2015 was all about Navaho, but neither of those are particularly office­ friendly and they’re so trendy they look outdated even one year later. Instead, stick with fantastic, classic prints like houndstooth, plaid, small polka dots, and stripes. I love to wear my prints with fabulous printed trousers. I would keep your trouser style to a slim fit trouser style in cotton. 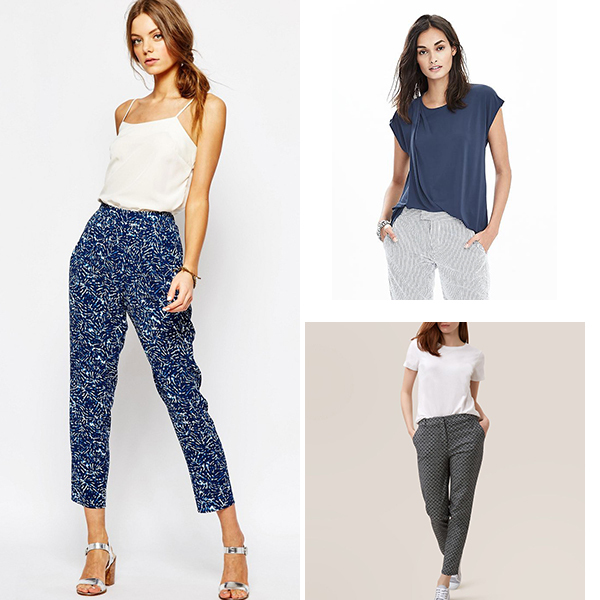 Don’t be tempted to be too on trend with the current wide leg or loose drape fit as you want your work wardrobe to last and also be smart and stylish not about the latest fashion trends. 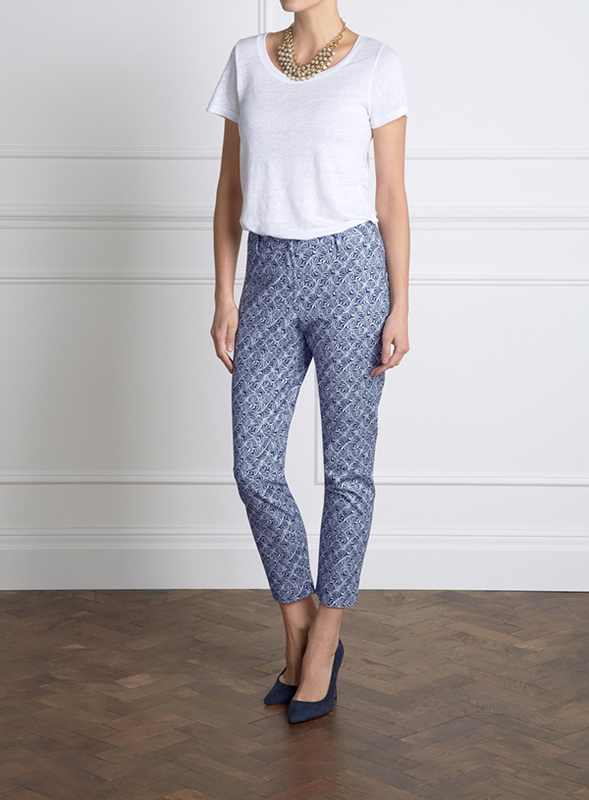 I particularly love these printed capri trousers from Pure Collection, I have them myself and they are just perfect for my office. If you aren’t keen to go quite so bold, then geo print or small polka dot sports are definitely an easy way to add this in to your office wardrobe. Are you surprised? So often, we’re advised to wear our leopard print top under a black blazer, but I find that interesting bottoms go much further to looking stylish and professional. Of course, don’t go too crazy with the prints. 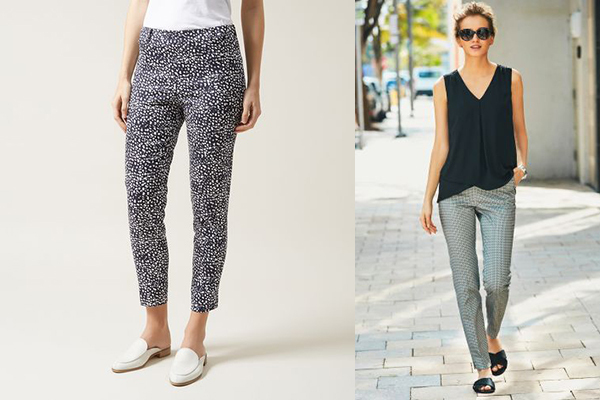 Grey leopard print trousers rather than traditional leopard print, a navy and tan polka dot skirt for example and of course a simple basic white, grey, navy top. Here’s a selection of how I see this working. I’m known around my office for only owning one pair of black shoes. Every pair of shoes I wear into work are office appropriate ­ closed toes, not­ too ­high heel­ but they’re fun colours, interesting textures, pretty prints. If you are looking for a flat shoe for the office with a hint of something special then these leopard print ballet flats from Asos are great. 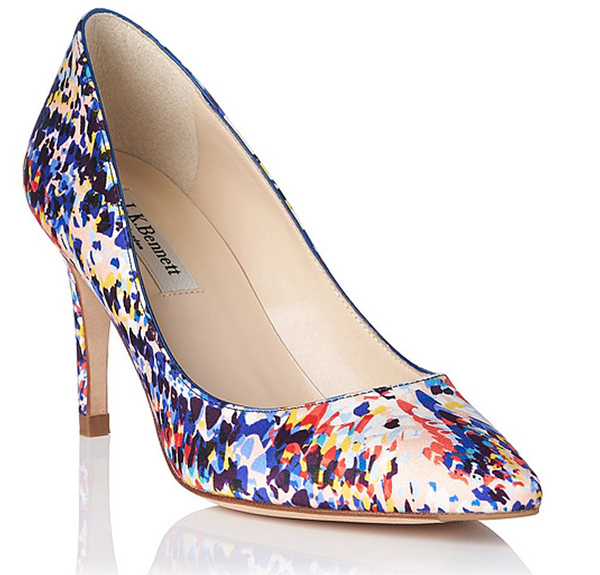 For a bit of height and colour, I am totally in love with this pair from LK Bennett, they will definitely be a treat and a pair I will wear so much (to get my moneys worth!). I’d wear these on a day that I wear a black or navy skirt. 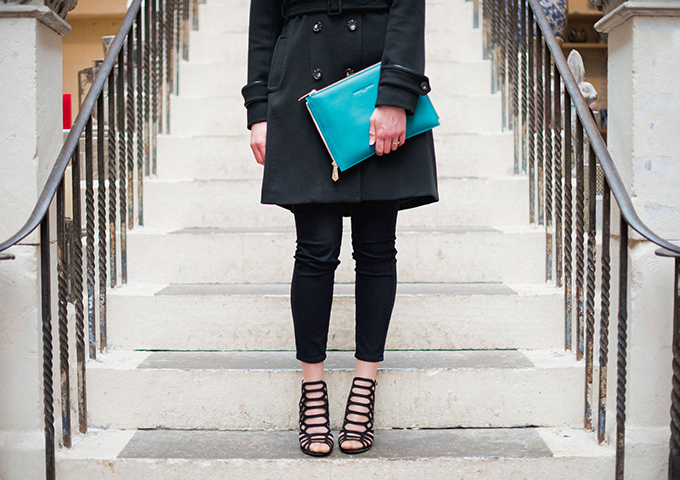 You don’t need much more colour when these shoes are involved! Perhaps the office is not the place for your door­-knocker earrings, but a chunky, interesting necklace can perk up a basic blouse. Roll up your sleeves to show off a few pretty bangles or a big wooden bracelet. Pin a funny, novelty brooch to the lapel of your blazer or draw attention to your flawless manicure with a fascinating ring. 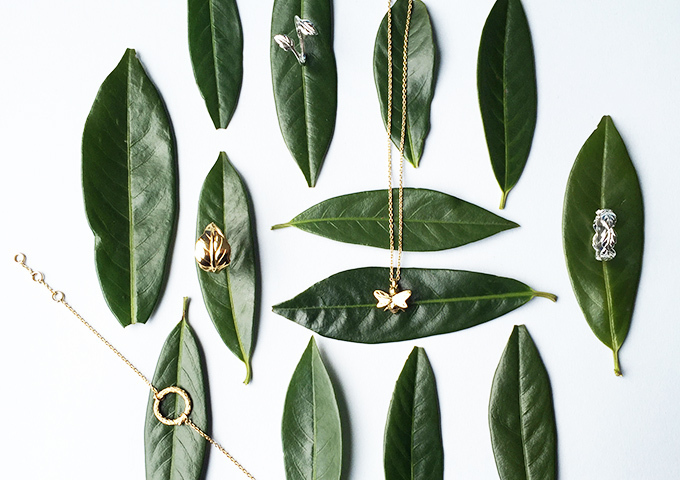 Of course, when you’re wearing statement jewellery, keep the rest of your outfit neutral. You don’t need leopard print and a big, sparkly statement necklace, this will not be the stylish and professional look you are after! There are some great places to buy statement jewellery from, I love ASOS, Bauble Bar and Olivia Divine. 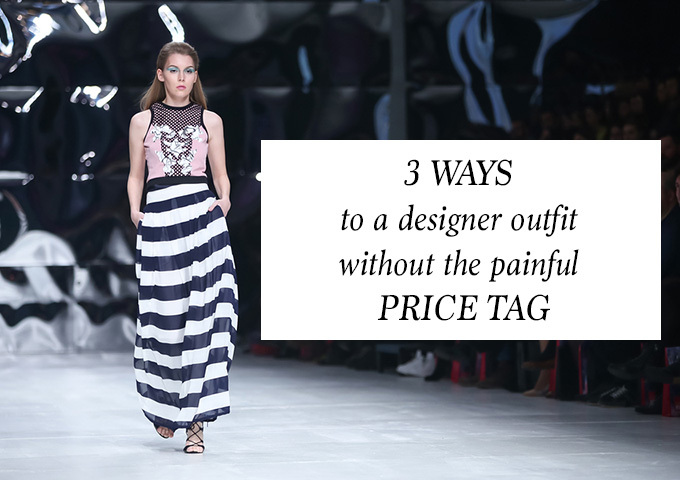 It doesn’t have to be expensive it just needs to suit your personality and work with your outfit. Clearly your office wardrobe needs to fit with your corporate dress code, I hope that this gives a little bit of inspiration for how to look stylish AND professional in the office and makes dressing for there office easier. I’d love to see some of your stylish and professional outfits! Tag me on Instagram @ladympresents with the hashtag #stylishandprofessional!